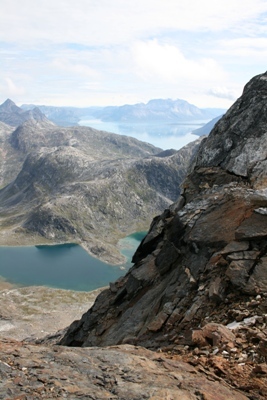 Ujarassiorit - the national mineral hunt for amateur geologists residing in Greenland - has started up. In 2018 Ujarassiorit has existed since year 1989 and has run every summer. A total of DKK 120,000 tax free prizes are awarded, of which the first prize is DKK 55,000. The Bank of Greenland’s Industrial Fund and Dundas Titanium A/S. have each contributed with DKK 40,000 to the total prize amount. North American Nickel Inc, Platina Resources Ltd and Greenfield Exploration Ltd have each contributed with DKK 10,000 to the total prize amount. On the webpage www.ujarassiorit.gl the mineral hunters can find relevant information about how to participate in Ujarassiorit. One can also download folders and publications which may be of help in the mineral hunt. An example of this is the booklet, ”Mineral-guide – Prospektering for amatører”, which is available free of charge at every post office. • Naja Poulsen Josefsen from Atammik, who has found a hydrothermally altered gneiss from Niaqunngunaq in Fiskefjord, West Greenland. The sample is rich in manganese (8.6 %), iron (23.3%) and barium (>1%), and contains elevated concentrations of cerium, phosphorous and yttrium. From geological point of view the sample could indicate an economically interesting hydrothermal mineralization in the area. • Dania Semionsen from Aappilattoq, South Greenland, who has found a micaschist rich in flaky graphite in Kangersuneq Paarleq, east of Aappilattoq. There is an increasing demand worldwide for flaky graphite used in modern lithium-ion batteries in electric vehicles. • Simujoq Nathanielsen from Sermiligaaq in East Greenland, who has found a rusty gneiss with sulphide minerals in Kangertittivatsiaq, approximately 120 km northeast of Tasiilaq. The sample contains 0.23 % copper. Since currently there is limited knowledge on ore mineralizations in the Kangertittivatsiaq area, analysis results have shed some light on the area’s potential. • Aksel Kuitse from Kulusuk in East Greenland, who has found a nickel-containing magmatic rock from Kangaarsuk, east of Kulusuk. The sample contains 0.33 % nickel and 0.16% copper. 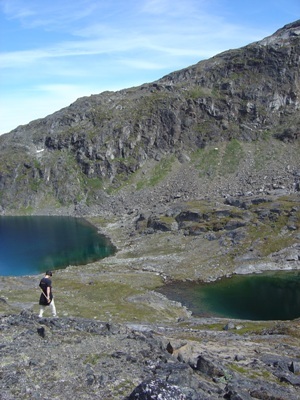 Nickel mineralizations in Tasiilaq/Ammassalik-region are known, but Aksel Kuitse’s sample is from a new locality. • Josef Josefsen from Kapisillit, West Greenland for his sulphide-rich gneiss. The sample contains 0.35% copper, 1% strontium, and elevated concentrations of cerium and lanthanum. The previously known occurrences of copper mineralizations in the area are different in geochemical characteristics. • Thala Nathanielsen from Sermiligaaq in East Greenland for her massive pyrrhotite from Qaarsertivaq, north of Sermiligaaq. Pyrrhotite is an iron-sulfide mineral, which occurs often in ore-mineralizations of economic importance, for example in nickel, copper, and precious metal mineralizations. Presence of massive pyrrhotite may indicate ore mineralizations in the area. Bendt Josefsen from Kapisillit wins the first prize of the year’s version of the mineralhunt campaign Ujarassiorit and receives DKK 55,000. 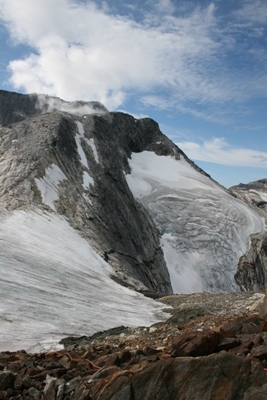 Bendt Josefsen has found a sulfide-mineralized gneiss south of Kapisillit in Godthåbsfjord. The sample contains 3.17 % copper, 10.1 gram per ton silver and 814 gram per ton cobalt. The copper-cobalt association is interesting since this association is not typical for Archean terranes wherein the Nuuk region is encompassed. Copper-cobalt ore deposits are known from the younger rocks i.e. in the Central African copper belt. The winner of the 2nd prize of tax free DKK 25,000 is Frederikke Filemonsen from Aasiaat. She has found and submitted a molybdenite-bearing gneiss from Ujarattarfik, an island 6 kilometers east of Aasiaat. The analysis of the rock returned 0.43 % molybdenum and 0.73 gram per ton rhenium. Molybdenum mineralizations in Aasiaat are not known in details. Molydenum finds its application mostly in production of high-strength steel alloys. Rhenium is applied to production of high-temperature resistant metal alloys that are used to produce jet engine parts. William Umerineq, Kuummiut, who has found and submitted a sulfide-rich mica-schist containing 0.33 % cobalt. 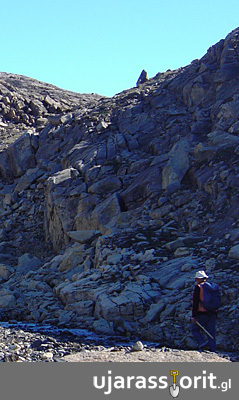 The geology of the area of the sample locality is known only to a limited degree, and the sample indicates a potential presence of economically interesting mineralizations. 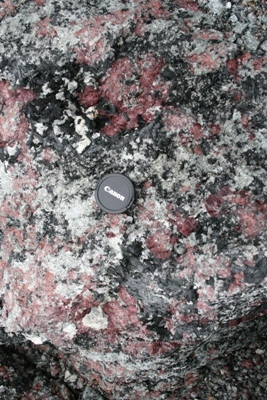 Sofie Larsen, Qeqertaq, who has found and submitted a sample of banded iron formation with the minerals magnetite and hematite from Anap Nunaa, north of Ilulissat. The iron-content of the rock is 37.8 %. Banded iron formations occur in the area, but are older than the sample submitted by Sofie Larsen which is from younger rocks. The sample indicates a potential for finding banded iron formations that are younger than the known banded iron formation deposit at Itilliarsuk. Charlotte Hansen from Qasigiannguit for her finding of altered amphibolite near Qasigiannguit. The sample contains 0.25 gram per ton gold. The sample is collected from bedrock, but there are no previously known gold mineralizations in Qasigiannguit area. Hans Pape from Tasiilaq for his finding of an ilmenite-bearing amphibolite from the island Ikermiit in South-East Greenland containing 33.3 % iron and more than 10 % titanium. The geology of the sample locality area is poorly known, but the sample indicates possible ilmenite mineralizations in magmatic rocks that occur in the area. Poul Alaufesen from Ikerasaarsuk for his finding of rose quartz of good quality at Innap qaava, central Westgreenland. Rose quartz has a pink color and is used as a gemstone, ’healing’ stone or as decoration. It is typically a gemstone which is suitable for small scale production. Bendt Egede from Illorsuit in the Qaqortoq-area for his sample of a labradorite collected east of Igaliku. The sample is of gemstone quality. Labradorite is used as gemstone and dimension stone. The submitted sample is suitable for cabochon cutting. The members of the jury of the national public mineral hunt programme are economic geologists from the Government of Greenland and the Geological Survey of Denmark and Greenland. 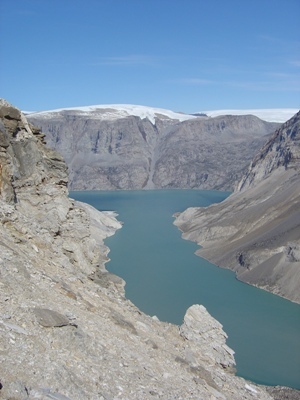 From every post office, residents of Greenland can, free of charge, send in samples for further geological examination. Further information regarding Ujarassiorit can be found on the website www.ujarassiorit.gl. 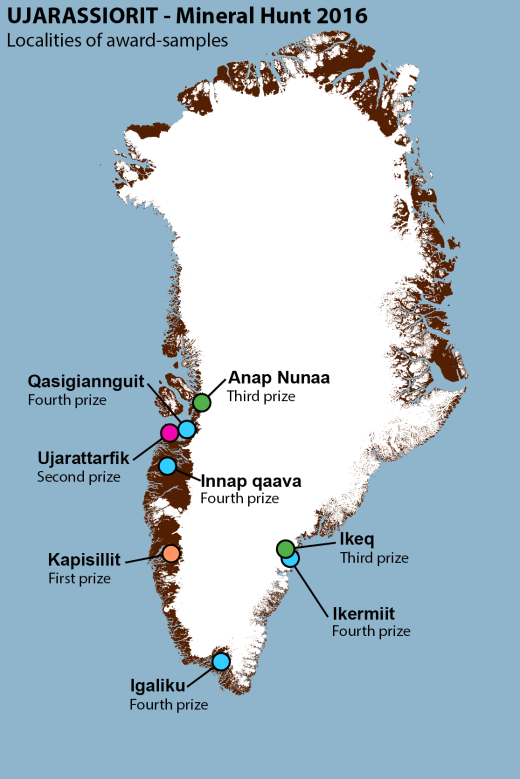 FinnAust Mining Plc, Greenland Gas & Oil Ltd. and The Bank of Greenland’s Industrial Fund have each contributed with DKK 40,000 to the total prize amount. Hudson Resources Inc. and North American Nickel Inc. have each contributed with DKK 10,000 to the total prize amount. Ujarassiorit – the national mineral hunt - has started up. In 2016 Ujarassiorit has existed for 28 years. A total of DKK 120,000 tax free prizes is awarded, of which the first prize is DKK 55,000. The sample must be received before October 1st 2016 to participate in this year’s mineral hunt. Winners of Ujarassiorit 2015 have been found! Petra Bidstup from Kullorsuaq wins the first prize of the year’s version of the mineralhunt campaign Ujarassiorit and receives DKK 55,000. 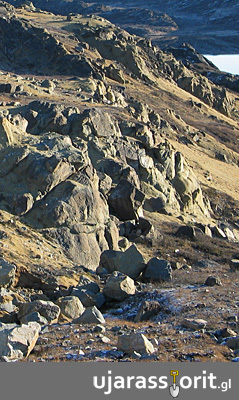 She has found a sulfide-ore rich rock at the vicinity of Kullorsuaq settlement, north of Upernavik. 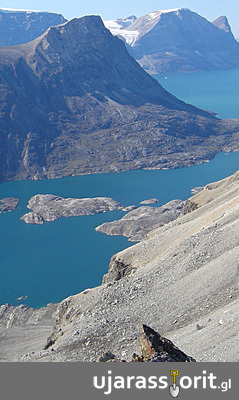 The rock contains 1.1 percent zinc and it gives a new indication of presence of zinc-mineralizations in Kullorsuaq area. 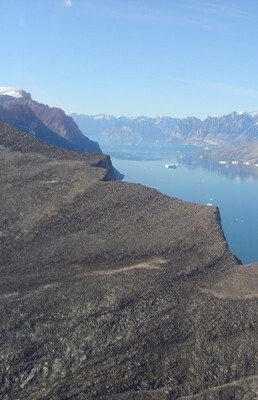 A joint project between Government of Greenland and GEUS started in 2015 investigates the zinc potential of northern West Greenland and will continue in 2016. Zinc is primarily applied as anti-corrosion agent and is used in electric batteries. 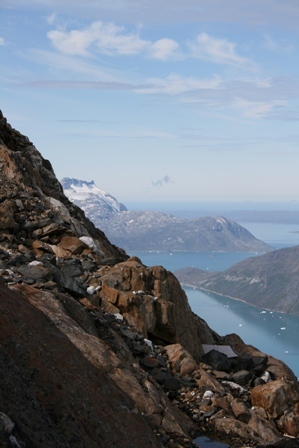 The 2nd prize of DKK 25,000 goes Peter Filemonsen from Sisimiut, who has found a sulfide ore sample with elevated content of nickel (0.2 %) and anomalously elevated cobalt and platinum-group. 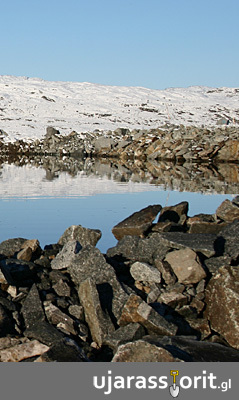 The rock sample indicates mineralizations of nickel and platinum-group elements are present in Sisimiut area. The first 3rd prize goes to Jonathan Davidsen from Qeqertarsuatsiaat, who has found and submitted a sample of green amazonite. Amazonite is a green feldspar mineral which finds an application as gemstone. The other 3rd prize is awarded to Enok Skade from Ukkusissat who has submitted quartz-rich rock samples from Karrat Island north of Uummannaq with elevated contents of platin (0.2 grams per tons) and palladium (0.04 grams per tons). A sample of bedrock from the northeastern part of the island Ammalortoq, north of Nanortalik with a gold-content on 0.2 grams per tons. 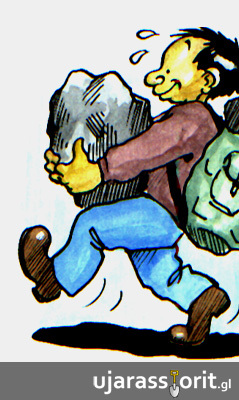 The rock collector is Kristian Isaksen from Alluitsup paa. A sample from Qatsissuarsuk in Kangerlussuaq-fiord with elevated content in copper (0.5 %) and palladium (0.4 grams per tons). 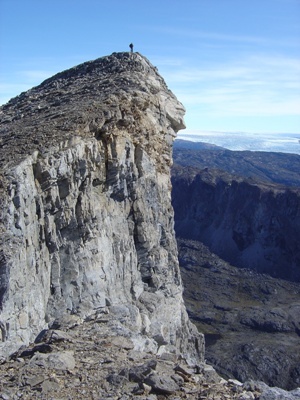 The rock is found by Godmann Filemonsen from Sisimiut. A sulfide-rich rock from Savissivik-area similar to banded iron formation-ore. The sample contains 21.4 % iron and copper (0.1 %). The sample is collected by Qaerngâq Nielsen from Savissivik. A magnetite-ore rich sample with content of iron over 50 % from Sondre Isortoq east of Maniitsoq.The rock collector is Iver Lyberth from Maniitsoq. Ujarassiorit, which is a national mineral hunt for amateur geologists, has now run for 28 years. 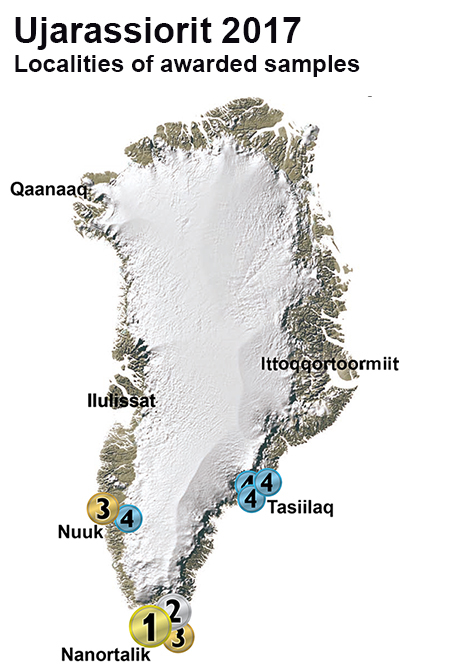 From every post office, residents of Greenland can, free of charge, send in samples for further geological examination. Further information regarding Ujarassiorit can be found on the website www.ujarassiorit.gl. Hudson Resources Inc., IronbarkZinc Ltd. and North American Nickel have each sponsored DKK 10,000 to the total prize amount.